One of the things we hear most often from Harvard Law School alumni is how proud they are of their fellow graduates. 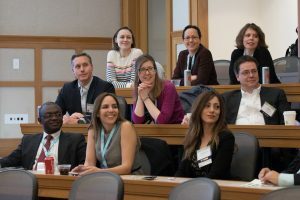 The HLS alumni network is comprised of more than 30,000 living alumni who came to Harvard Law School from different places and backgrounds, and pursued distinctive paths after graduation — forever connected by the time they spent at Harvard Law School. 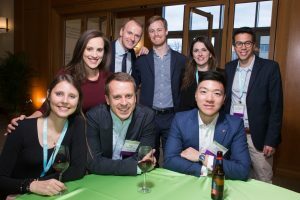 At the Harvard Law School Alumni Center, we know how much these friendships and connections mean to you. Our Reunions team works hard year-round to host Reunions that match your fondest HLS memories and emphasize reconnections and lifelong learning. We hold two class-year Reunion celebrations every year: in April, we invite those alumni celebrating their 5th, 10th, 15th, 20th, 25th, or 30th Reunions, and in October, we invite all those celebrating their 35th, 40th, 45th, 50th, 55th, and 60th Reunions, as well as all the members of our Emeritus Club. 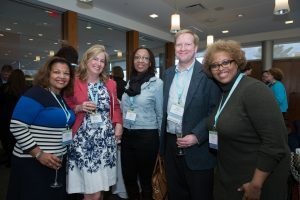 We also host the following affinity celebrations: Celebration of HLS Alumnae, Celebration of Black Alumni (CBA), Celebration of Latino/a Alumni (CLA), Federalist Society Reunion, and Harvard JD/MBA Reunion. For each Reunion, we strive to prepare an engaging and inspiring program of speakers, panels, and presentations. We invite alumni and faculty to share their stories and expertise on cutting-edge topics, such as cyberlaw, immigration, environment law, food law, international law, and much more. HLS Reunions also feature a conversation with Dean John Manning ’85, who gives an update on the state of the School and engages in a dialogue with alumni. One of the most exciting parts of your Reunion is time spent with your classmates and friends, and we make sure to offer plenty of opportunities for socializing and catching up throughout Reunion weekend. We host all-class dinners on Friday evening as well as class-specific dinners and receptions on Saturday night. We invite all Reunion alumni to a keynote luncheon on Saturday and to social activities in the afternoon. Oftentimes, alumni organize additional activities to spend extra time with friends. On Sunday, we host a special brunch to honor those classmates who are no longer with us, and to celebrate the lifelong friendships and relationships made during your time at HLS. If you have any questions regarding Reunions, please don’t hesitate to contact us at reunions@law.harvard.edu. View a list of upcoming Reunions. We hope to see you at your next Reunion!